Here at Butlers in the Buff– the ultimate bachelorette accessory- we think that Charleston is the perfect location for a bachelorette party. It’s a great mix of historic buildings, beautiful coastline and a load of delicious restaurants and bars. So why not consider having a Charleston bachelorette party! Of course every Charleston Bachelorette party needs a Butlers in the Buff to make it extra special! Hire one of our handsome and charming party butlers to come and make you drinks, play games and cater for your every need- they are perfect for while your pregaming or to help you serve breakfast in the morning when you’re all a bit hungover! 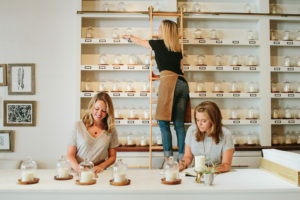 #1 Charleston Bachelorette Party Idea- Pamper Time! A must while you’re in Charleston is an afternoon relaxing on the beach to top up that pre-wedding tan! But if you fancy something a bit more luxurious than heading to the beach then we’ve got you covered! Whether it’s a trip to the spa you fancy to recover from a heavy night of cocktails, or just a quick Mani-Pedi to make you feel glamourous for your night out! Our favorite Charleston spa has got to be The Woodhouse Day Spa! They offer a whole load of different treatments to make you feel super relaxed and pampered after the stress of organizing a wedding. They even cater to bachelorette parties and private events. If you fancy something quick and easy that’ll make you feel a million dollars before you hit the town then be sure to check out Mylk Bar for all your Mani-Pedi and beauty needs! If there is a large group of you on your bachelorette you can book a private room so you can all relax together! 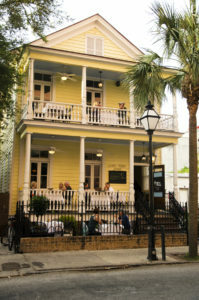 #2 Charleston Bachelorette Party Idea- Brunch! Brunch is definitely a must during any bachelorette weekend, especially after a big night out! Luckily Charleston has some great brunch locations to offer. Butcher and Bee– Is a super cute place to grab some brunch- especially al fresco on their deck. They have pretty much everything you could want from their hearty Sausage, egg and cheese breakfast muffin, to freshly baked pastries and everything in between. They even have a range of great cold-pressed juices that will be sure to sort out any hangover! Hominy Grill– is another great brunch location, however it can be a bit of a tourist trap. They have some great ‘Charleston Classics’ like the ‘Charleston nasty Biscuit’ which is delicious. But also some great classics from pancakes to Granola to Huevos Rancheros. #3 Charleston Bachelorette Party Ideas- Dinner! 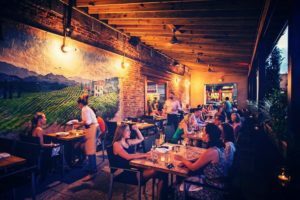 Here’s a list of some of our favorite dinner locations, whether you’re after some classic southern cuisine or want to give fine dining a go, then you’ll be able to find the perfect restaurant here in Charleston. 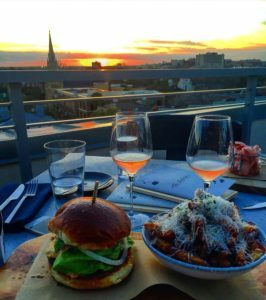 TU– Offers food inspired by nostalgia with a bit of a twist- think comfort food and flavors from all over the world! 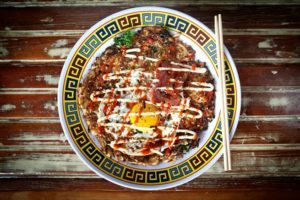 Xiao Bao Biscuit– Asian soul food! Inspired by food from China, Korea, Japan, Tiwan, Thailand and Vietnam! 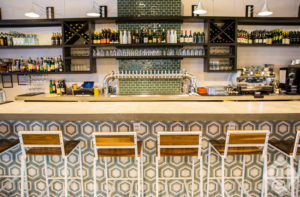 Zero Restaurant and Bar-If fine dining is what you’re after then this is the place for you! Magnolia– Upscale Southern Cuisine- blending traditional ingredients and cooking techniques with a modern flair for artful presentation. 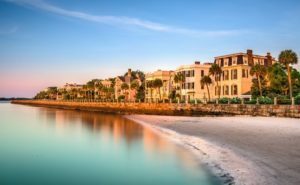 Charleston offers a wide range of activities that are perfect for any bachelorette party. So we’ve selected some of our favorites Charleston Bachelorette Party activities. To make the most of the beautiful coastline in Charleston why not head down to the harbor and go on a boat cruise. Adventure Harbor tours and Salt water cycle are two of our favorite and offer you very different options for your bachelorette. Adventure Harbor tour has a range of different tours, but our absolute favorite is there Wild Sunset cocktail Cruise, which could be the perfect way to pregame a night out. The cruise is a 90 minute lightly narrated sightseeing tour around Charleston harbor. But best of all you can bring your own booze!! Let the booze, the beautiful sunset and the music soothe the stress of your busy day/wedding planning! P.S. be sure to look out for any dolphins! Alternatively check out Salt Water Cycle, for a slightly different boating experience. The clue for this one is in the name: Cycle. That’s right you must cycle to power the boat (don’t worry there is also a motor so you don’t have to do all the work!) This would be a great activity for any active bachelorette parties or if you just want to try something new. Plus its BYOB so what else could you want than to be with your besties, sipping on some wine, and floating around Charleston. If either of those options don’t float your boat why not try something a bit craftier? You could attend a Candle Fish workshop and create your very own scented candle. We think this is a really lovely idea because then everyone leaves with a gift that will always remind them of their time in Charleston. And just like the boat tours it’s a BYOB workshop so you can be drinking whilst making your candle! Or why not embrace your inner Coachella and try making your own floral crowns! And if you don’t fancy any of that then why not head out on a mixology tour! #5 Charleston Bachelorette party Idea- Girls Night out!! Charleston has a lively night life perfect for any Charleston Bachelorette Party! Once you’ve pregamed (with a Butler in the Buff of course!!) you’ll be ready to hit the town. Whether it’s a sophisticated bar you’re after or you want to dance the night away we’ve got you covered! Felix – a French take on classic cocktails! The Faculty lounge is a super cool secret bar, you’ve got to ring a hidden doorbell to get in! Once you’ve hit a couple of bars it time to head to a club!! Our favorite clubs, which are perfect for your Charleston Bachelorette party are NV, Trio. NV has everything that you could ever want from a club; there’s a roof top bar, a large dance floor with world class sound and lighting, table service (great for any girls night out!) and amazing DJs and acts every weekend! Similarly Trio offers a large dance floor, an outdoor patio and private VIP tables and bottle service. Both clubs have offer bachelorette party packages that will make your night extra special! To find out more about what our Butlers can do for you, click here. We’re the World’s first, biggest and best naked butler company and here’s why.